Need to store your basil for the winter? Last night, my friend Lori loaded me up with a brown bag full of basil from her garden. I made pesto this morning and froze the other half into little olive oil and basil cubes. It is a great way to store the basil and use it during the coming months. Just let it defrost and use however you would normally use olive oil and basil: in pesto, as a base for sauce, just over pasta…other ideas!?! Process the basil in the food processor briefly, just to chop it up. 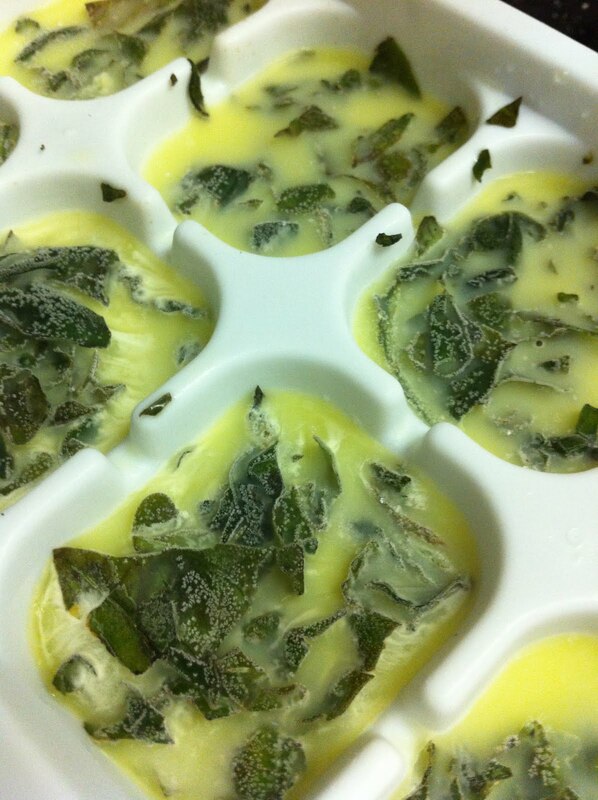 Place a little into each ice cube section and then pour olive oil over to cover. Freeze. When they are frozen, pop them out of the tray and into a freezer safe container for easy access. Enjoy your basil all winter!